Jane is Director, Evidence and Learning. 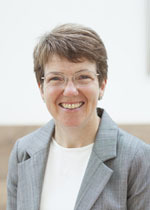 Jane joined the Foundation in the newly created post of Head of Impact and Evaluation in 2011. She was previously Head of Research and Evidence at the General Teaching Council for England, and has worked in research and consultancy for public services at the Office for Public Management (OPM) and the Policy Studies Institute. Jane sits on the Advisory Board for the Center for Effective Philanthropy (CEP).